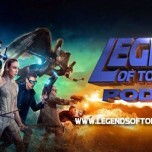 On this week’s episode of Legends of Tomorrow Podcast, your hosts Kat Calamia and Gregg Katzman do a character spotlight on the Black Canary and White Canary which is who Sara Lance (Caity Lotz) will become on DC’s Legends of Tomorrow! 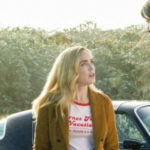 In the discussion, they go through the Canaries’ presence in the comics as well as in the media (including Arrow) while also speculating what Sara’s arc is going to be like on DC’s Legends of Tomorrow when she returns from the dead. 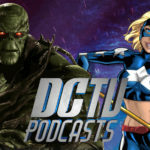 In addition, they chat about what they want to see for Laurel Lance (Katie Cassidy) in Season 4 of Arrow as well as in the Lance sisters’ relationship. 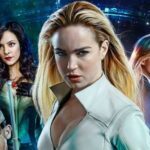 “DC’S LEGENDS OF TOMORROW | When heroes alone are not enough… the world needs legends. Having seen the future, one he will desperately try to prevent from happening, time-traveling rogue Rip Hunter is tasked with assembling a disparate group of both heroes and villains to confront an unstoppable threat – one in which not only is the planet at stake, but all of time itself. Can this ragtag team defeat an immortal threat unlike anything they have ever known?